Improving health by increasing local access to quality primary care while encouraging a range of preventative and educational health initiatives. Our Health Connections program is a portfolio of primary care and preventative health initiatives that seek to link rural communities with the healthcare services they need. In Nicaragua, we partner with the Ministry of Health to provide primary care in two communities (3,000 pop.). 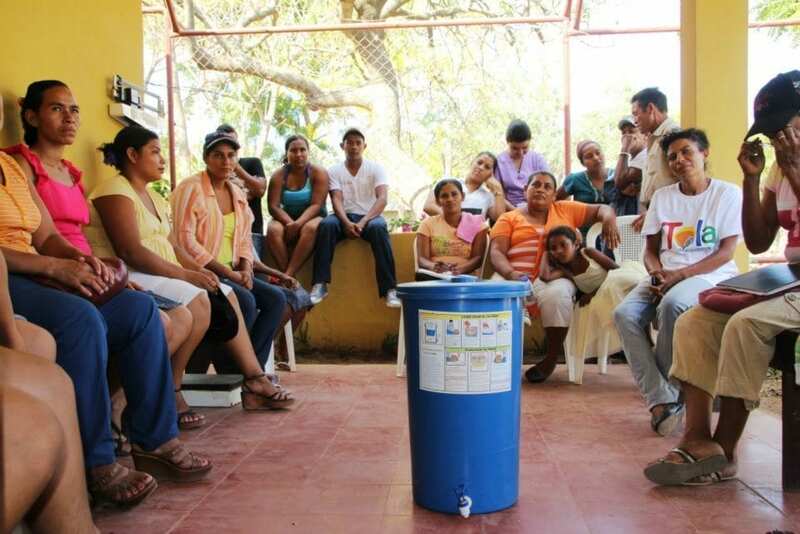 In Nicaragua and the Dominican Republic, we collaborate with community health promoters to strengthen their capacity to advocate and support the most vulnerable residents in their communities. 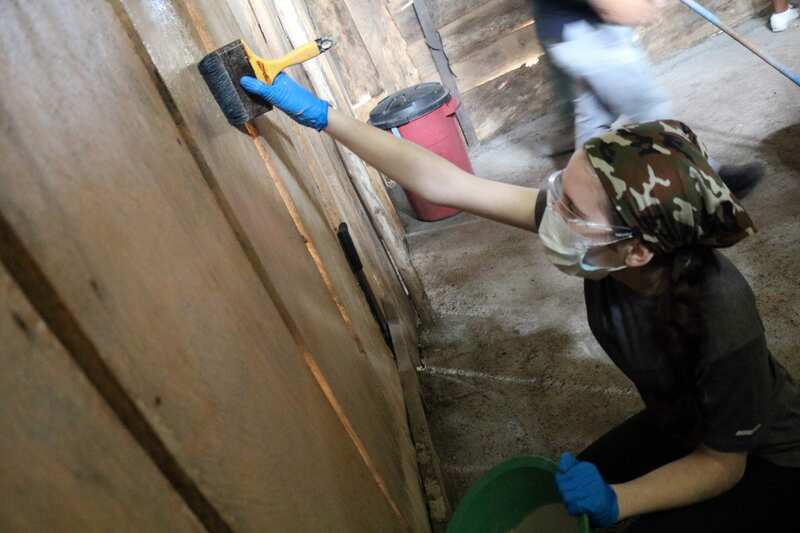 Comunidad Connect, local organizations, and international academic partners help guide this work by establishing evidence of needs and developing pilot projects. Click here to learn more about how we leverage our network of support for global impact. The “Together For Health” program was founded by Drs. 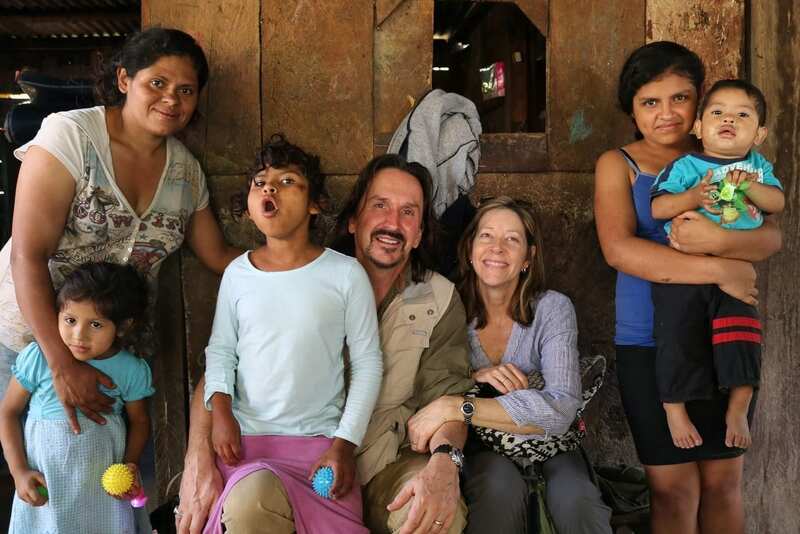 Ben and Karen Thrower during a Comunidad Connect trip to Los Robles, Nicaragua in 2014. They began serving neurological and pediatric patients, expanded to San Esteban 2, and currently care for 20 patients. This program is made possible by generous monthly donors. Please consider joining them today by making a monthly contribution to cover costs associated with medicine, exams, and staff. Your support directly impacts the lives of patients and their families. Local residents earn projects through community service that improve their family health and provide greater self-sufficiency. Family Impact Projects include clean-cook ovens & stoves, concrete floors, roof repairs, secure bathing areas, insect repellent paint, and complete home renovations. Families are selected by local community leaders and Comunidad Connect staff based on level of need and urgency of living conditions. See below for more details on these projects. We use a natural insecticide that traps mosquitoes which can then be swept away. This helps reduce mosquito-borne illnesses such as Dengue, Chikungunya, and Zika. The bright white coloring also discourages rodents who typically prefer dark spaces in homes. Most families in rural Nicaragua cook over an open flame, often leading to chronic illnesses such as respiratory infections, pneumonia, and asthma. Our stoves uses less wood, which save money while also funneling the smoke outside the house. Ovens provide a source of income for women who bake bread and pastries for sale. 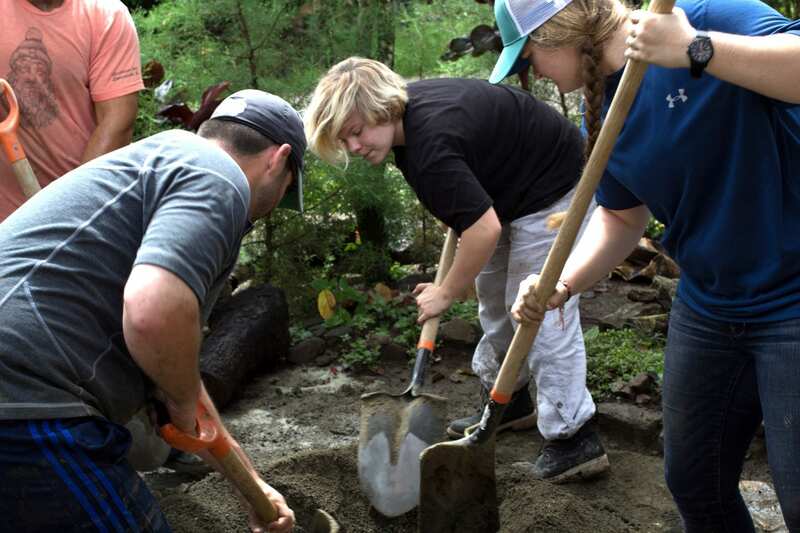 Many parasites are found in dirt floors of homes in rural Nicaragua and the Dominican Republic. 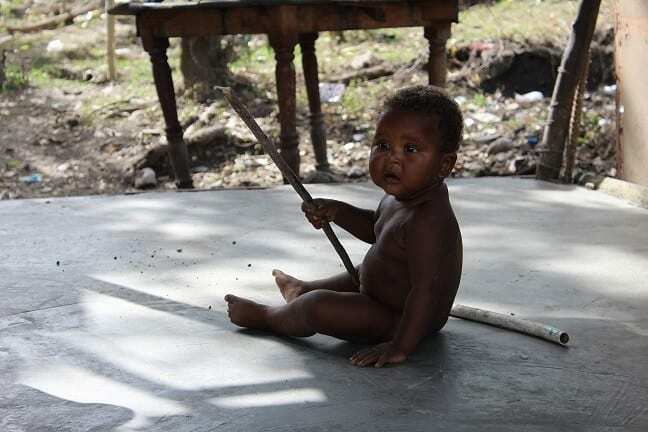 Concrete floors reduce such pests, mold growth, diarrhea, and anemia, while also improving respiratory health.Sanitary and secure floors also provide ideal space for infant "belly-time". Our programs provide a safe and structured environment for youth to grow in sports, community events, and after school programs. Everyone wins with youth sports. Communities are safer and the local economy thrives via organized sports leagues, tournaments, and special events. Local leaders are supported via coaching clinics, training resources, and material donations. 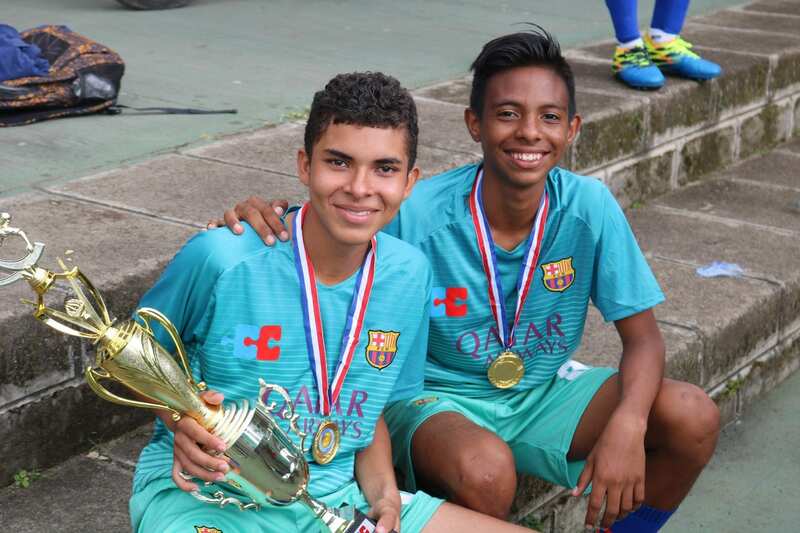 We currently manage multiple soccer, baseball, basketball, and volleyball leagues with an active enrollment of over 500 participating youth throughout the year. In dozens of communities throughout Nicaragua, thousands of people now have access to clean drinking water and are leading healthier lives. 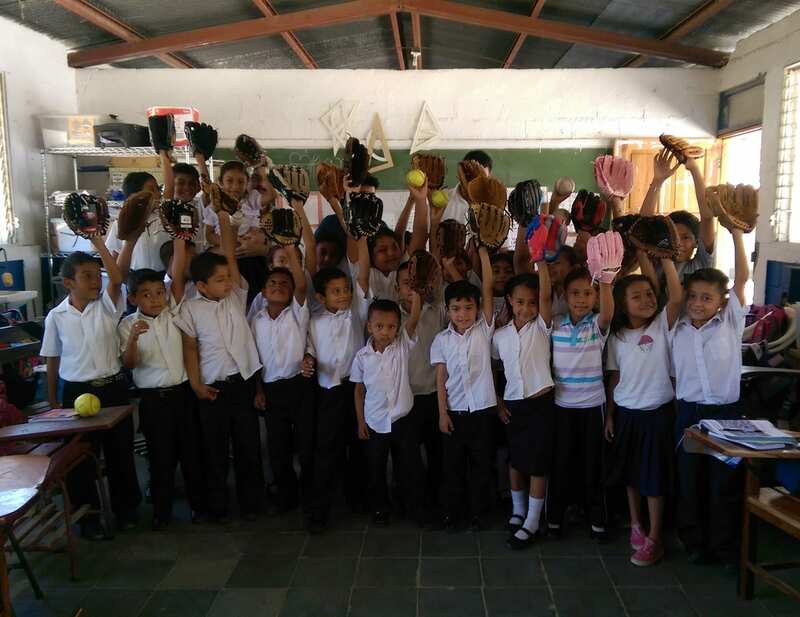 Established in 2012, Nica Agua provides low-tech, user-friendly water filters, education, and monitoring to combat some of the most prevalent illnesses in rural Nicaragua like diarrhea, parasites and kidney infections. Participating families earn their water filters by investing a minimum of 16 hours of community service. This work includes projects like road repair, bridge construction, school maintenance, and attending health seminars and are meant to improve community assets for the benefit of all residents. The economic benefit of reduced illness is a major incentive for families to replace expiring filters at the end of the project period. Nica Agua has seen amazing success: more than 80% of beneficiaries have fully adopted the use of the filter and have clean, drinkable water in their homes. We met Crisbell Gutiérrez in the community of Los Robles, Nicaragua in 2015. An accident at 2 months old left her partially paralyzed with frequent seizures, while her single mother struggled to provide for her 4 children. Through our health and service programs, we connected Crisbell with Drs. Ben and Karen Thrower who help provide appropriate medicine and monthly check ups. Today, Crisbell has increased mobility, seizures are rare, and her mother is happy knowing her daughter’s special needs are being met. 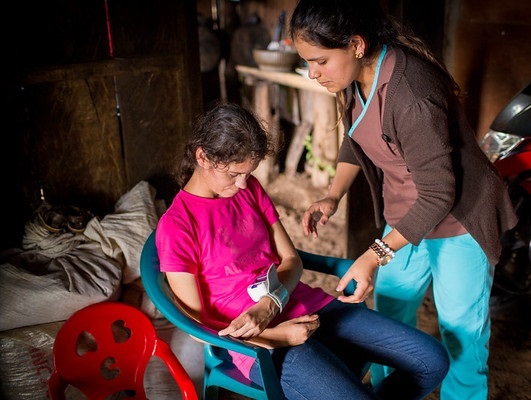 Enma Gutiérrez is the nurse at the rural health clinic in Los Robles, Nicaragua. She completes over 3,000 consultations each year, cares for special needs patients every month, and provides invaluable support to the local network of brigadistas (health promoters). The leader of our Health Connections program, Enma plays a vital role in increasing access to quality health-care for rural Nicaraguans. Comunidad Connect’s resident dentist, Dr. Reeder Lanzas, presents the challenges and our approach to addressing one of the most pressing health issues in Central America. Equipped with a mobile clinic and plenty of toothbrushes, Reeder visits isolated communities to promote dental health education, fill cavities and perform tooth extractions. 11 years ago, Comunidad Connect converted an abandoned basketball court into a community sports facility in San Juan del Sur, Nicaragua. With a new playing surface, lights, public seating, bathrooms, and a full-time administrator, it became a beloved community asset overnight. Each year we involve 500+ kids in organized sports through leagues, tournaments, and workshops. We met Jaime Ramos and his family through the Nica Agua water project two years ago. Despite his physical disability, he and his wife accumulated almost 90 hours of community work. After seeing his wretched living conditions, we connecting him to a housing project managed by another organization. 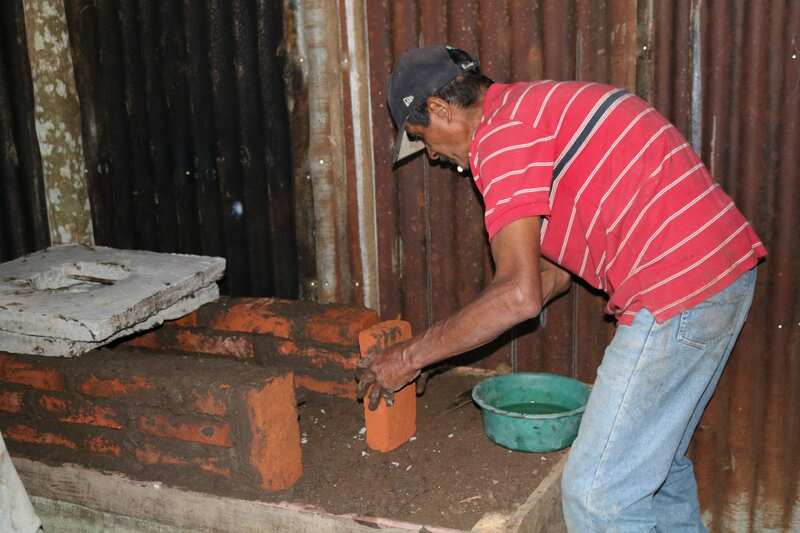 When the project fell through due to the difficult situation in Nicaragua, Comunidad Connect and generous donors fulfilled our commitment to see his new home to completion.